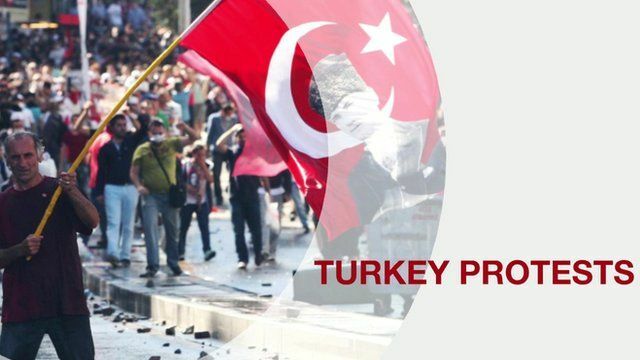 Turkey protests: How events unfolded Jump to media player Turkish riot police have moved into Istanbul's Taksim Square, which has been occupied by anti-government protesters for close to two weeks. The BBC's Tim Willcox looks back at how events unfolded. Protester: 'Police response is harsh' Jump to media player Protester Timur Karadeniz describes the scene in Taksim Square as Turkish riot police and protesters clash in Istanbul. 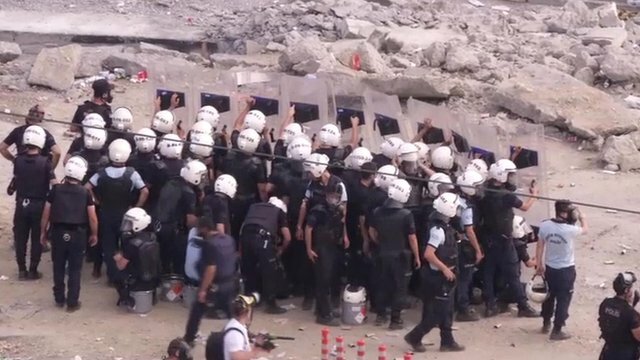 Footage shows Turkish police move in Jump to media player The BBC's Mark Lowen describes the scene as Turkish riot police enter Istanbul's Taksim Square - where anti-government protesters have been staging demonstrations for close to two weeks. Turkey protesters defy PM's threats Jump to media player Clashes between Turkish police and protesters have resumed in Istanbul's Taksim Square, despite a warning from PM Recep Tayyip Erdogan that he would not show "any more tolerance". 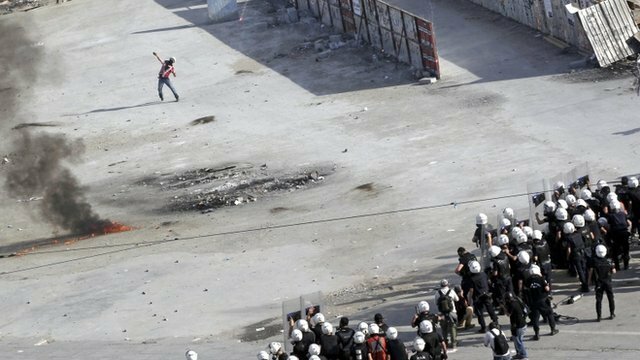 Turkish riot police have moved into Istanbul's Taksim Square, which has been occupied by anti-government protesters for close to two weeks. 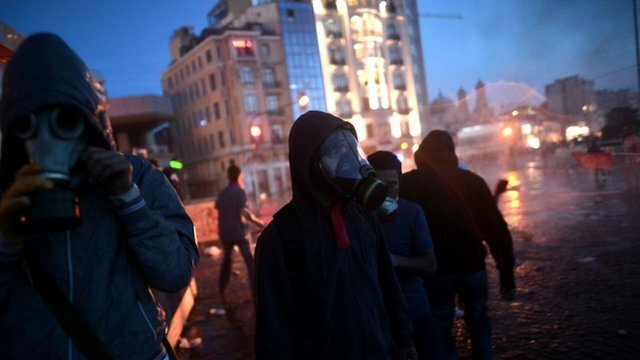 The unrest began after a crackdown on a protest over Gezi Park's redevelopment. The BBC's Tim Willcox looks back at how events unfolded.